A ladder? No, not just a ladder. A symbol of self-reliance, of life change, of moving on and moving up. Practical? Yes. Meaningful? Yes! So what’s the problem? Well, their size posts an obvious issue to most people who don’t own a ladder. 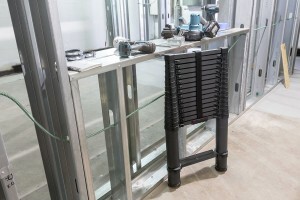 At Xtend+Climb, we’ve removed the space barrier and created a strong, durable, safe product that now grants access to any space from any storage place. So who needs a ladder? Well, we’ll tell you. Graduates. Yes – graduates are an ideal candidate for a ladder. Taking that first big step into adulthood and self-reliance, while possibly still driving the first car they ever bought. Having a ladder means they don’t have to ask mom & dad to borrow theirs, and ushers them into a new era of learning to do it for themselves. Contractors. Painters. DIY-ers. Our contractor series has sturdy, extendable feet for additional stability. 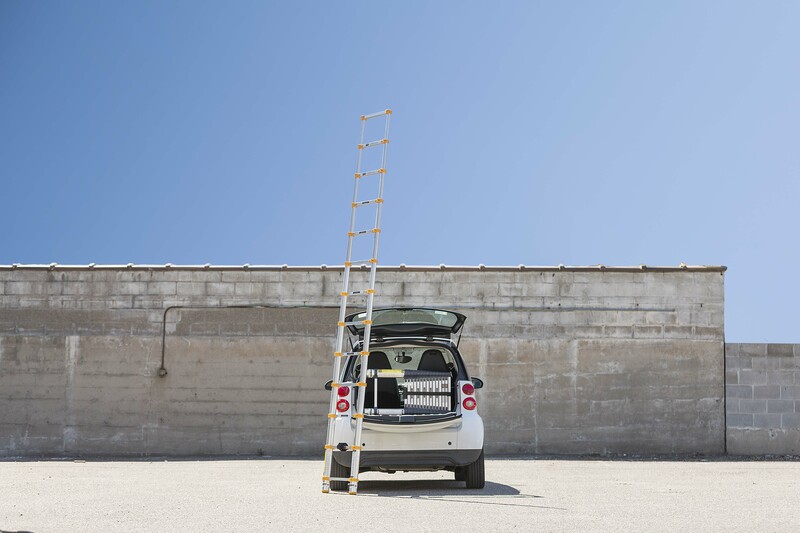 These heavy-duty ladders are transportable in any vehicle, from professional contractor vans to the weekend handyman’s smart car. These ladders allow for more space for materials and tools, adding efficiency to every job big and small. Newlyweds. Wedding gifts have consistently trended toward the practical, setting the new couple up for success by getting them the necessary tools for a new life together. This includes everything from power tools to kitchen supplies. So a ladder is (no pun intended) truly a great fit. Will they be moving into a starter house in their future, but still live in a smaller space currently? The storable feature of the Xtend+Climb grows with their home, future, and family. Housewarming. Has someone you know recently made a new home purchase? 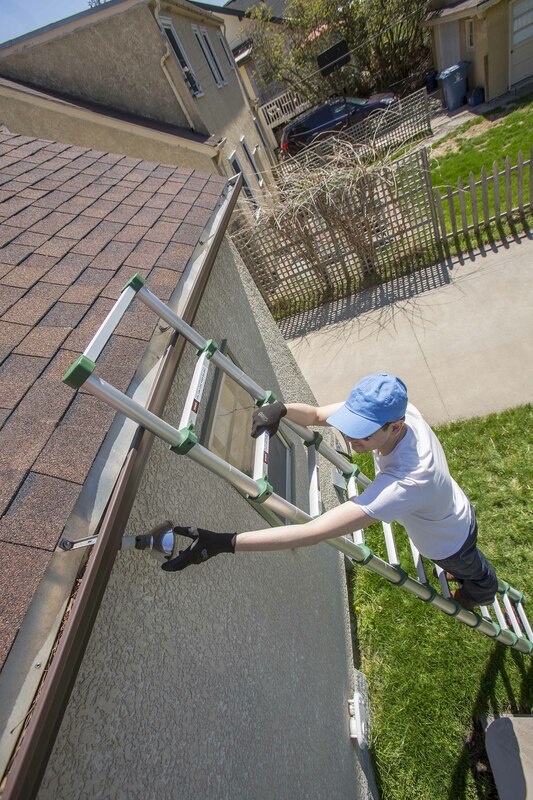 There are always a lot of repairs, updates, painting – and those gutters to clean out! Give the gift of a portable, storable, usable ladder that will help them for years to come. From the biggest projects to the smallest tasks, this solution goes from inside to outside without banging into the new paint. Downsizing empty-nesters, condo & apartment dwellers. Anyone with a small living space knows the importance of optimizing every square foot for convenience and usability. That doesn’t mean that there aren’t still tasks at hand that need a little lift to approach. 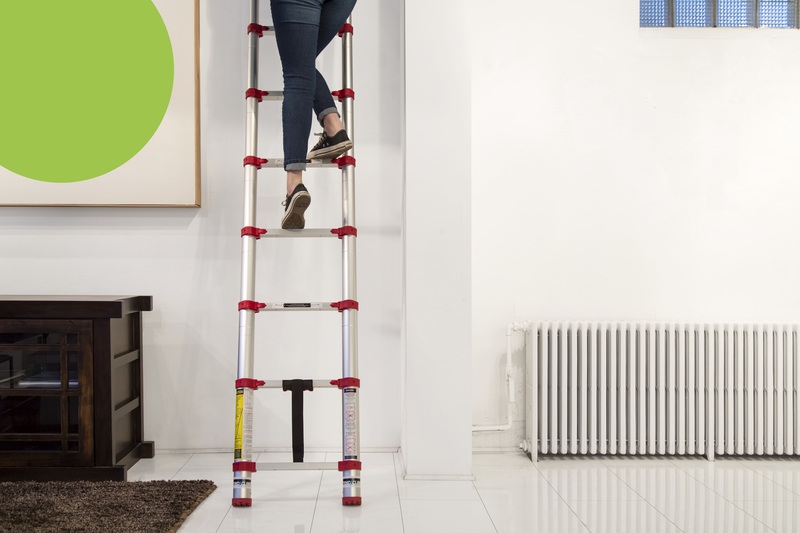 Storing easily in closets, under the bed, or in a small storage space, this is the ladder that fits every job and every lifestyle. Anyone without a work truck. Seriously. Work comes in all shapes and sizes, so do tasks and where we have to do them. However, we don’t all have access to a ladder rack or work truck. 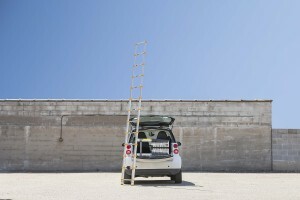 Xtend+Climb ladders remove the barrier of transportation, space, and time. Our innovative telescoping technology is a game-changer on the professional and personal home-improvement front.